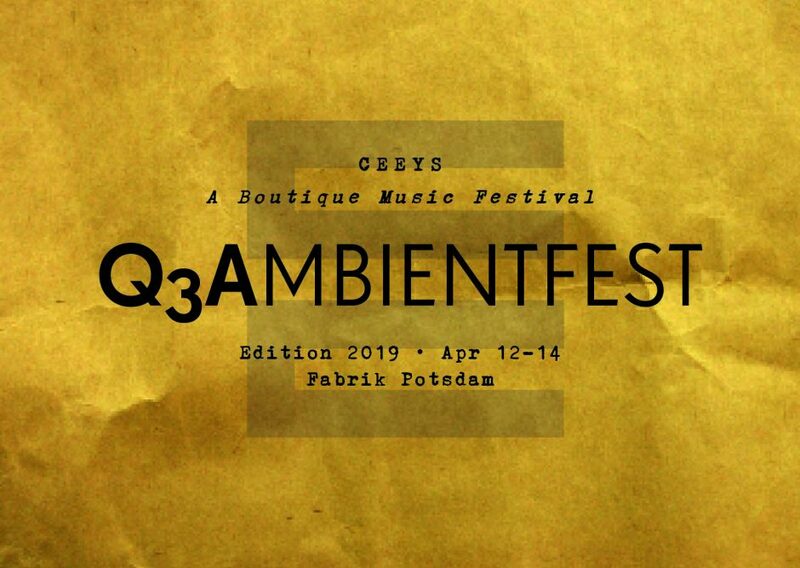 Q3Ambientfest is a three-day happening for neoclassical and experimental music, featuring established and emerging artists from diverse genres and origins. The handpicked roster of talent for this year’s festival, founded and carefully curated by brothers Sebastian and Daniel Selke, the award-winning Potsdam-based cello-piano duo CEEYS, invites open-minded music lovers to discover today’s contemporary composers and performers. From avant-garde to pop, Q3A holds a mirror to the eclectic architecture of Potsdam, from neo-classical palaces to prefabricated “Plattenbauten” (panelhouses). These Communist-era buildings gave Q3A its name, which is an abbreviation for “Querwandbau” (cross-wall construction). The festival also joins Piano Day, an annual worldwide event and platform for piano-related projects founded by a group of likeminded people around pianist and composer Nils Frahm, that takes place on the 88th day of the year corresponding to the number of keys on a piano. This year’s lineup includes live performances by: Oriel Quartett (UK), Clemens Christian Poetzsch (DE), AVA (NL), LAVALU (NL), Simon Goff (UK), Aidan Baker (CA), F.S. Blumm & Marc Marcovic (DE), SOMA (RU), Snowdrops (FR), Poppy Ackroyd (UK), CEEYS (DE), Stereo Hypnosis (IS), Kinbrae (UK), Chikiss (BR), Pianofield (UK), Jakob Lindhagen & Vargkvint (SE), Simeon Walker (UK), Diane Barbé (FR).